As a kid I always used to think that adults couldn’t see me. See what I was going through or what was happening to me. The situations I faced were horrifying and happened daily. I am looking at this picture and remembering what life was like for me at this time, and it still scares me. I was 13. I can remember where that picture was taken. Its near my flat. It’s a summers evening, say about 6, still really warm. If you look at my eyes in this picture you can already see that I am drunk. I have also been sitting in a small bedroom in a flat with several people who would be smoking god knows what, so even though I never took the drugs, its clear from my face that I am affected by it. Even though I am already on my way to being out of it, I will continue drinking Bacardi for hours yet. Probably until I pass out. I will not be with my usual “friends” on this night. I’m going “Out Out”. Nadine, one of the girls that went on to groom me, has said we are going to a club “so you need to look older”…she said. The picture does not show what I am wearing, but I remember it like it was yesterday. High heeled Knee-high black boots that lace up. Borrowed from someone, and a little too big so I have 2 pairs of socks on so they stop slipping (Feet will get hot when I am dancing). Denim hot pants that are too small, a silk blouse that one of the girls have knotted up so my flat belly is on show. One of the older girls cut a piece of lace and made it into a choker around my neck. Makeup and hair done. And I will be taken to a club. The time between this picture being taken and me returning home at about 6 in the morning, many people will see me. Cab drivers, shop owners, bus drivers, the man from the chips shop, other people’s parents, the bouncers in the club, ever single person in the club, every single adult that will watch me stumble along in adult clothes, clearly out of it and will not say a thing. No one sees me, that’s how it feels. As an adult I see the same thing, there are many people and sections in our society that we turn our eyes away from, that we like to pretend don’t exist. They exist on every street, in every neighbourhood, in more families than we realise, and it effects every young person. This is why I am inviting you to be a part of my ‘ICU’ Campaign. On the 14th February I am asking every individual, every network, every organisation to post on social media the hashtag I CU (#ICU) along with any individuals or issues that they are feeling are being ignored. Junior Smart and I made the video below for ICU not realising the impact it would have. We blew up Twitter on the 14th of Feb 2018. You can watch the video below. Please share this as much as you can so that as many people as possible know about the #ICU campaign. Valentine’s day is the day when we are supposed to show love and think about special people in our lives. Nothing can be more important than the love for those who think that others don’t care or see them. Here is a link to the silent pray that was generated from last years ICU Campaign. So share this, spread the word, tell everyone at work and lets male sure that #ICU 2019 reaches all those that need it. See you all on the 14th Feb 2019…. 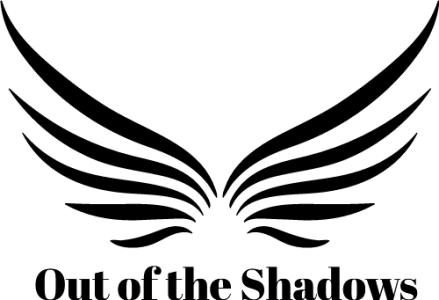 You can suscribe to Out of the Shadows Here and be part of somthing Amazing!